Thousands of years ago, Buddhist monks would drink matcha tea to help them with meditation sessions and avoid sleepiness. Fast forward to the 21st century where matcha green tea is quickly becoming a popular go-to beverage for people of all ages. It’s unique green color, slightly bitter taste, and numerous medicinal benefits make it an alluring option for tea drinkers worldwide. Matcha is a powdered form of green tea derived from the Camellia sinensis plant, native to China. Matcha is more concentrated than regular green tea, and is also more expensive due to its intricate cultivation process. The tea leaves are shade-grown for several weeks, steamed, air dried, carefully sorted, and ground in a stone mill, which produces the soft powder. The traditional way to drink matcha is to boil 8 oz. of water and pour it over 1 tsp. of matcha powder. Next, use a bamboo whisk and stir until the powder dissolves. Lastly, add the mixture to your favorite mug and sip slowly like a Zen Buddhist monk. 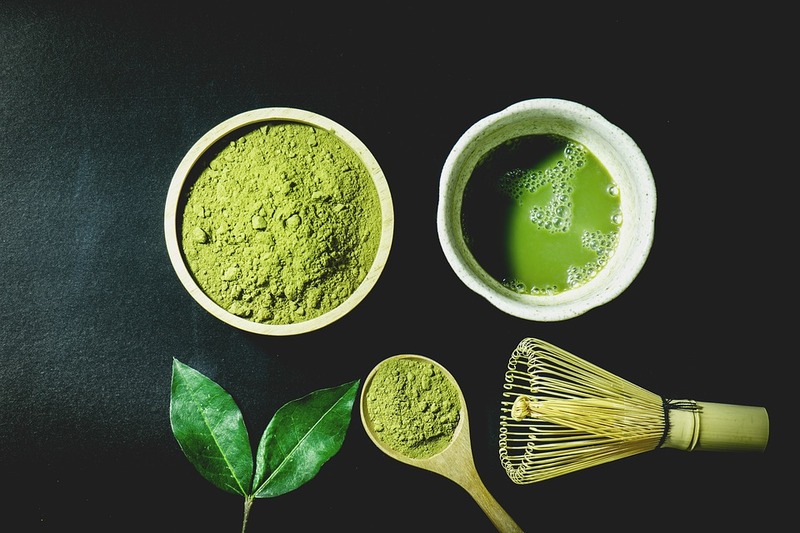 To combat the bitterness of matcha tea, some drinkers add milk and sugar to sweeten it a bit; However tea pro’s suggest drinking matcha without sugar is the best way to reap the many benefits this exotic tea has to offer. Matcha is high in antioxidants, which are believed to help lower your risk of infection by protecting your body from cellular damage. According to the European Journal of Clinical Nutrition, matcha helps curb your appetite and plays an important role in boosting metabolism and burning fat. Drinking the tea can provide a sense of calmness while also waking you up. Matcha contains caffeine to give you a boost, but also contains L-theanine, which is an amino acid that reduces anxiety.